The convicted killer of South African anti-apartheid leader Chris Hani will be freed on parole in two weeks after more than 20 years in prison, a Pretoria court ruled on Thursday. 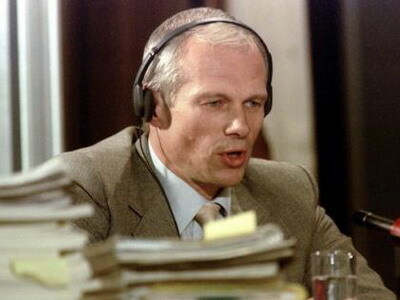 Janusz Walus was serving a life sentence for the 1993 murder of Hani, a charismatic activist and politician who was both a senior member of the African National Congress (ANC) and the head of the South African Communist Party (SACP) when he was gunned down. The decision to free him is likely to be contentious in a country still dealing with the legacy of the brutality meted out by the white-minority regime that prevailed from 1948 to 1994. Hani’s murder threatened to derail South Africa’s transition to multi-racial democracy, leading to nationwide riots and triggering fears of a civil war. Walus, a Polish immigrant, shot Hani dead outside his Johannesburg home. “Yes, he got parole,” his lawyer, Roelof du Plessis, told online service News24. Walus was sentenced alongside Clive Derby-Lewis, a right-wing politician who provided the murder weapon. Both men were originally sentenced to death, but that was commuted to life in prison after South Africa abolished the death penalty in 1995. Derby-Lewis was freed on medical parole last year. Hani’s wife, Limpho, criticised the decision to free Walus. “It’s very, very sad for South Africa. It’s a very sad day,” she told Talk Radio 702. Justice Minister Michael Masutha had blocked a parole board decision to release Walus, leading to his legal challenge in the Pretoria court. “We received the judgment with great disappointment,” SACP spokesman Alex Mashilo said.